In-season hours will begin at the Gregory Gym Aquatic Complex. Recreational Sports will host Texas THON in the Gregory Gym Arena to benefit the Children’s Miracle Network Hospitals at Dell Children’s Medical Center of Central Texas. 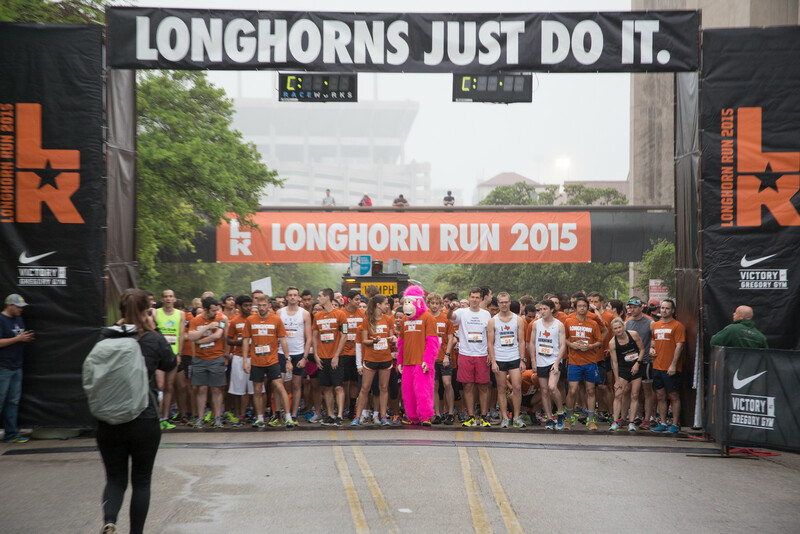 Free Longhorn Run Training: Local run, 6 p.m. Meet at West Campus (TBD). Reserve your spot. Student Organization Adviser Brown Bag Lunch, noon–1 p.m., Gates Dell Complex (GDC) 1.406. Festival of Fruit, 5–8 p.m., J2 Dining; 4:30–7 p.m., Kinsolving. Free Longhorn Run Training: High intensity training and run. 6 p.m. Location TBD. Reserve your spot. 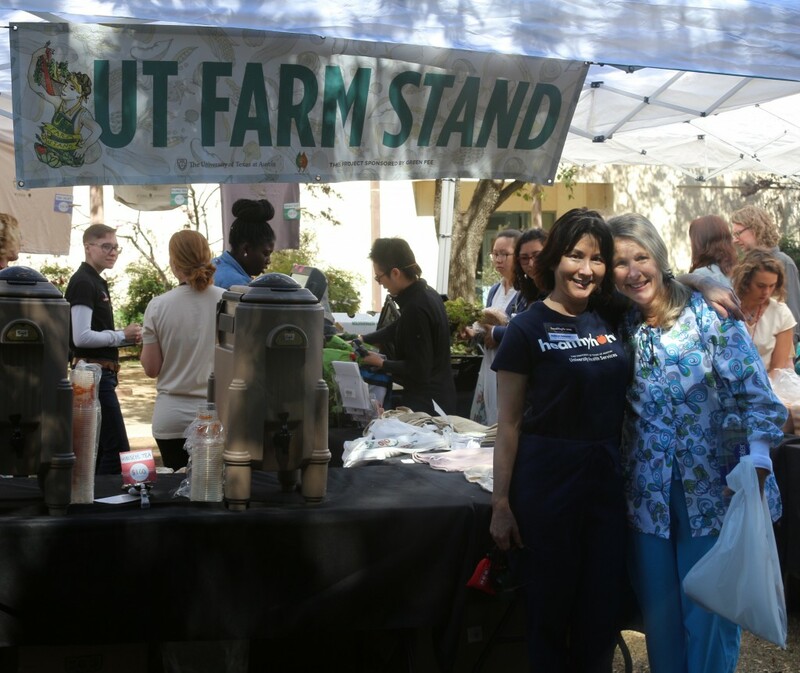 Kathryn Dekeyser and Debbie Riggs (University Health Services) visit last month’s UT Farm Stand event.